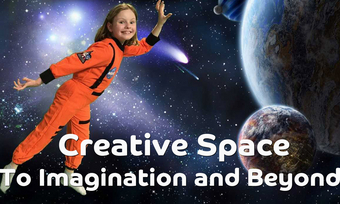 Our project 'Creative Space' is aimed at encouraging children to consider aspects of faith through creative and performing arts like puppetry, drama, circus skills and dance. Our project will teach children's workers, children, and young people how to use these skills and abilities and fund their imagination leads them into faith. Our Flourishing Youth Club meets weekly every Sunday evening during school term. 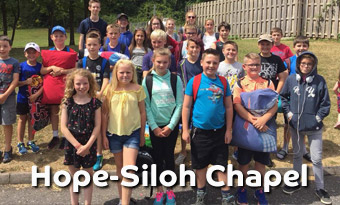 As part of the clubs annual programme, members attend a Christian Youth Camp in late July or early August. Its aim is to give our young people the opportunity to meet, socialise and participate in a variety of activities in a supportive Christian environment, and encourages them to discuss and consider the issues of importance related to their faith. This activities takes place through the medium of the Welsh language. With over 10,000 people permanently living on boats, many of whom are continually moving over the 2,000 mile network of the inland waterways in England and Wales, it is easy for many to be overlooked by local communities or government provision. Waterways Chaplains proactively seek out such people to offer care, support and encouragement. 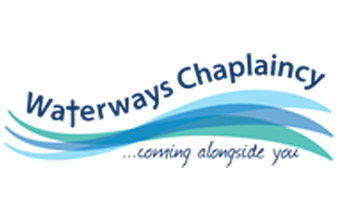 The Westhill grant enables 10 additional voluntary Chaplains to receive the necessary specialist training in parts of the country not yet reached by the existing 70 Chaplains, to have some 1,000 meaningful coversations with boaters on the margins of society. The Community Participation Programme is a holistic 3 phase programme building confidence, skills and positive relationships through creative activity for local people in Sparkbrook. Each phase is designed to build on the last working towards a deeper level of engagement. The programme supports positive change by encouraging participation and interaction in a safe shared learning environment, centred around creative and fun activities. It values and promotes the skills and assests of the people in the local community by sharing cultural history and experiences. Finally, the project builds a strong and empowered community by developing the educational, practical and language skills of participants. What does the ancient Hebrew idea of shalom look like in modern day Scotland? 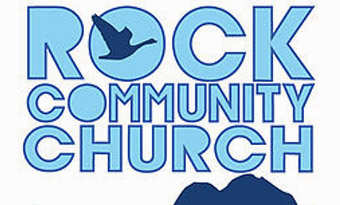 As Rock Community Church reopened a disused community centre within one of Scotland's most deprived communities, they asked this very question. As The Phoenix saw its doors open again in Nov 2018 there was a desire to explore what this ancient concept of wholeness and holistic peace might look like for the people of Dumbarton West. In particular, we wondered how the arts might have a part to play in bringing spiritual, relational, mental, emotional, familial wholeness. The Art of Shalom is an experiment in using the arts to celebrate and encourage life in its fullest sense. 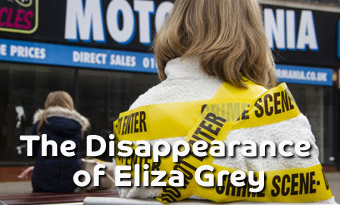 The disappearance of Eliza Grey is an entertaining full-length play exploring why people with Dementia can become invisible and how to enable them to live well. It supports the Alzheimer's Society 'Dementia Friendly Community' initiative. Using a crime drama format, this two-hander, makes use of the familiarity of a small rural church setting, and can be performed in any space. This play also connects to other issues that cause people to become invisible in society. Audiences have loved the show and provided great feedback. It easily adapts into a workshop for carers, or people living with dementia. Our project aims to reach out to many different audiences via social media, websites, home viewing, faith groups, with a series of short films challenging the viewers to think about Christianity in contemporary society. What are the big questions which the Christian faith needs to ask itself? What are the big questions in society in which Christianity seeks to address? How might our viewers be challenged to rethink their perceptions of Christianity and which might be the future for a progressive faith? 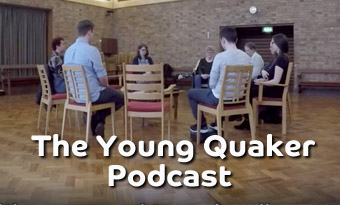 The Young Quaker Podcast is a monthly downloadable audio show that promotes young adult Quaker voices, experiences, and ministry, and works to build a supportive online community for young Friends internationally. 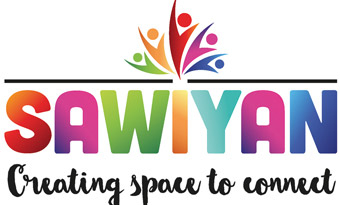 Building on our success from the first season (Nov ‘17 - Jun ‘18) and with the help of Westhill Endowment Trust, we are now launching a second season of 9 episodes this autumn, to continue to provide a space for young adult Friends to explore and speak about their spirituality, through a medium that is accessible to all with an internet connection. 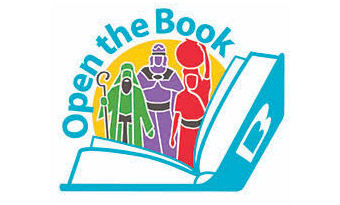 This project enables thousands of primary school children, in multi-faith cities across England and Wales, to engage with Bible Stories in a sensitive, educationally acceptable style. 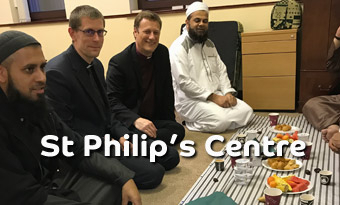 In partnership with Birmingham City Mission, the Bible Society seeks to engage inter-faith dialogue between the Christian church and primary schools where children are from other faiths and none. The project is building bridges between different faiths and cultures between communities. 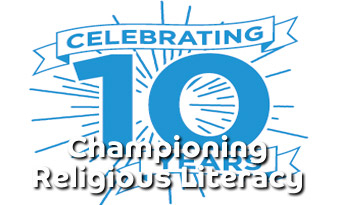 Different Christian church denominations come together to deliver Bible stories as part of collective workship in multi-faith primary schools, giving children and foundational understanding of our society's Christian heritage, enabling them to compare and contrast. Imagine Peace: 20,00 Doves is a large-scale mass children's participation art installation at Lichfield Cathedral. Part of a year-long programme to commemorate the centenary of the 1918 Armistice, the project will see our Artist-in-Residence working with local schools to create 20,000 paper doves; the doves will then be suspended in a large-scale art installation from the ceiling of the Cathedral's nave throughout December 2018. Participating schools receive a pack containing the materials to make doves, information about the project, and a powerpoint presentation about the themes of peace, forgiveness and reconciliation. The children will use their learning to develop and write on their dove a personal message relating to the project themes; they will also learn about the historical and religious context for the dove as a symbol of peace. 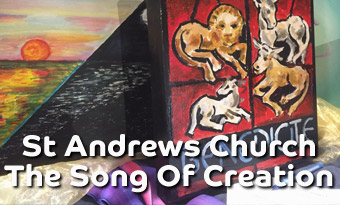 Our project is to commission and co-curate a high quality art work for the West Tower wall of St. Andrew's Parish Church. The project will engage and build bridges in the community through exploring the Song of Creation. The aim of this project is first to provide pocket guides to relationships between Christians and other faith communities (Muslim, Jewish, Sikh and Buddist). Second, we will use these guides to facilitate deeper discussion between Christians and other faith communities. The festival is organised by the local church for it's surrounding community. 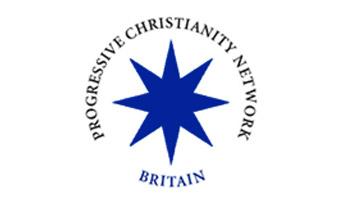 Working with people of all ages and backgrounds, seeking to create an interaction with the church and community. 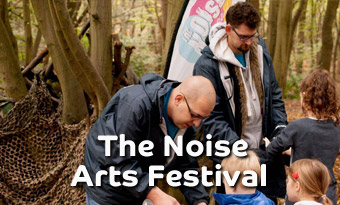 The festival uses the arts, including comedy, music, dance, drama and family focussed events help in a variety of venues to achieve this task. Project in planning for March 2019. "A Play in a Day": The aim is simple - create a play in a day! The event will provide an engaging way to get to know people. Our project will enable three local churches, in neighbouring areas, to connect with their communities. Each church will host our lead artist for one event, bringing all three groups together. This will be an opportunity to see each other's performances; connect across churches; and invite friends and family to see the fun we've had. We are building an ecumenical 'community of praxis' in South Yorkshire, linking together churches and projects that are working to build what Pope Francis has described as "a poor church that is for the poor". Churches are learning from each other, supporting each other in their mission and discipleship, and showing the wider church what it really means to be a 'church of the poor'. 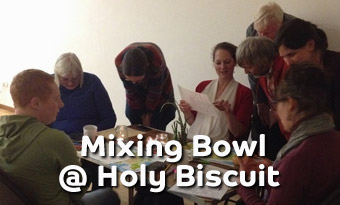 'Mixing Bowl' is a twice-monthly gathering of people from a variety of backgrounds, including many who have left traditional church contexts and those with no known faith background. We meet to share a meal, discuss and reflect on an artwork (visual art, writing, music etc) and pray together. We are committed to exploring what faith, art and shared life look like outside of the traditional church context. 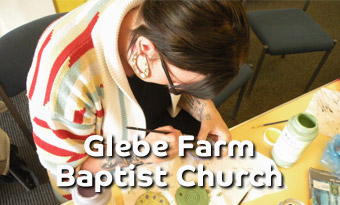 We are based at Holy Biscuit, an arts organisation run by the Methodist Church. The activities and discussions in Mixing Bowl offer opportunities to explore and respond to the themes of the artworks exhibited in the gallery. In 2018 TLG will be running two Family Adventure Weekends, to which the children and families who we support through our Early Intervention Programme are invited to attend, for free. 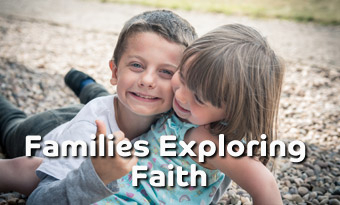 These families are often in great social and economic need, so the time away means they are able to have fun away from the pressures of life, all while exploring faith, building relationships and spending precious time together. We will be able to take 160 people away this year, and for some families this will be the first time they have ever gone on holiday together. 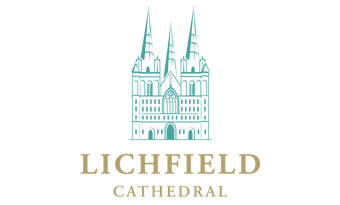 The grant will also allow families to begin to connect with their local church communities through the trialing of Family Fun Sessions. This season is about getting people together and talking! 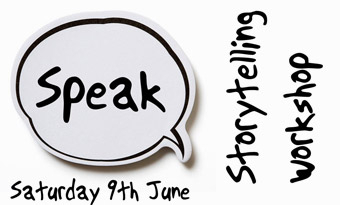 Using the spoken word we will explore our community's life and memories, we will explore the spiritual that lies behind stories, and we will use words to celebrate our community and unity. The season will work across the generations and encourage people from different backgrounds to share their stories and to listen to others. We'll also use the other art forms such as drama, calligraphy and visual media to express words in diverse ways. 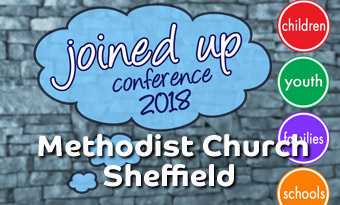 The Joined Up Conference is a 1-day annual conference for anyone involved in youth, schools or children's work - or with a passion for the church to engage more with children and young people. 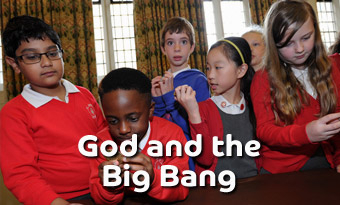 God and the Big Bang gives students from Year 6 - 13 (10-18 year olds) an exciting opportunity to discover, discuss and debate compatibility of science and faith. The day aims to equip young people with the all-important tools they need in order to form their own opinions and engage in rational, exciting, well-reasoned and thought-provoking discussion about the place for science in God's world. We want to increase access to our events for low-income schools, offering a creative, professional, and highly engaging approach to questions of science and faith aswell as access to professors and graduates from top universities around the country, with the time to ask big questions and have a taste of what university level study might be like. 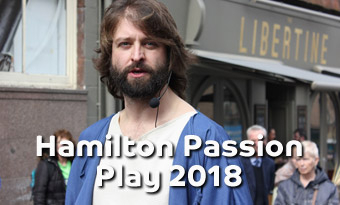 A Passion Play is a community event which brings people together to tell the story of the last week of Jesus' life. Through drama, the redeeming power of the gospel is brought to life in a fresh way, allowing audiences to experience and engage with these events as never before. 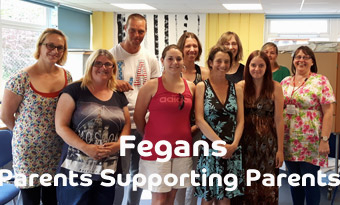 Fegans is a Christian children's charity supporting vulnerable children and their families. We do this through counselling and our ' Parents Supporting Parents Programme' which is an innovative project offering intensive 1:1 support in homes, together with group work and volunteering opportunities. The programme is designed to build resilience and then take vulnerable families on a journey from isolation to volunteering, from lack of self-worth to growing confidence, from families in crisis to confident and hopeful home lives. 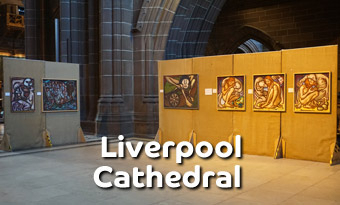 Liverpool Cathedral will be exhibiting a seris of paintings by Peter Clare entitled 'Is Love Enough?' Our aim is to engage with existing congregation to pose and explore the question of ‘the challenge of evil and how it can be overcome’. Voices from the edge celebrates the stories of disabled people. 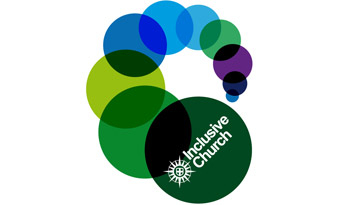 For 5 years Inclusive Church and St Martin in the Fields have shared in running a disability conference organised by and for people with lived experence of disability. Voice from the Edge is a booklet celebrating all that these conferences have achieved and telling the stories of some of those who have contributed. The booklet not only celebrates the conferences but encourages others to consider using a similar model in tehir own context. 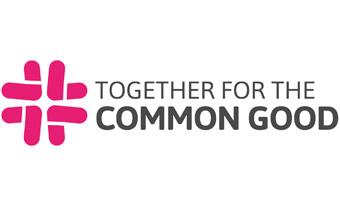 At a time of growing division, Together for the Common Good is planning training packages in ‘Common Good Thinking’ for Church leaders, lay people and RE teachers. By building the capacity of the churches through their people, with the principles and practice of the Common Good, this project will untap their potential to create change in communities and to be a catalyst for social transformation. We aim to equip people to cultivate local leadership, build bridges and engage in effective relationship building in communities, schools, workplaces, and neighbourhoods. Belief will always be with us! Our media exerts an enormous infludence over our perceptions of spititual beliefs and religious communities. Yet the evidence for religious literacy - a reliable knowledge of these varying beliefs and practices - amongst media professional is astoundingly low. Lapido Media tackles this by championing religious literacy, challenging and equipping journalists to go the extra mile in understanding belief systems before they report the news of the day. Our web refresh project allows us to communicate effectively with our journalist auduences. These are the writes, broadcasters and producers willing to learn about the kaliedescope of faith and belief to improve the quality of their journalism. 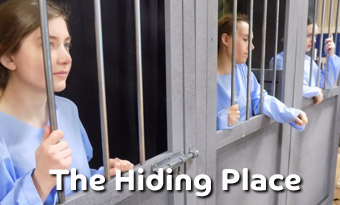 Oddments Theatre Company's new production 'The Hiding Place' tells the true story of Corrie Ten Boom and her journey from watch shop to concentration camp. The two-act play will focus on what being a Christian means in the darkest of situtaions, how Corrie found strength in her faith and the positve effect it had on others in terrible circumstances. It is a true story of couragous actions and demostrates faith and love in action. Oddments produced the original script and is performed by a cast of six. A professional build stage set (adaptable for any kind of venue), props, costumes, sound and lights will be used to enhance the quality of the production. The show will tour 15+ prisons and 50+ churches and secondary schools throughout the UK. 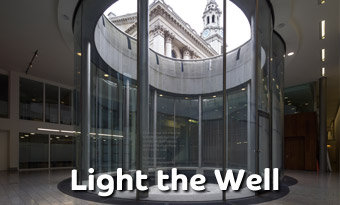 St Martin-in-the-Fields’ community art initiative, ‘Light the Well’, will enable participants to explore, through the artistic medium of clay, scripture and the scriptural symbolism of light. Through participants’ experimentation with light-sources contained within their porcelain vessels, our hope is that they will be strengthened in their faith by reflecting on the experience of Christ’s light shining within their lives. The resulting installation in the Light Well of the Crypt at St Martin’s will be seen by all those who access the site (such as tourists and concert visitors, members of the congregation, and clients of The Connection at St Martin’s). There are a lot of people in Reedham, but very few of them come to church. 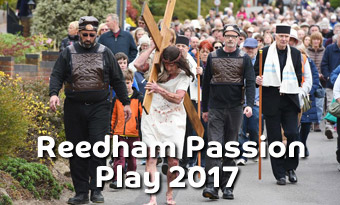 We therefore decided that the church would go out to the people, and that on Good Friday we would put on a plat through the streets of Reedham, to tell the story of Christ's Passion and death. 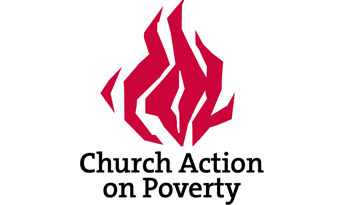 The project seeks to investigate the current extent of church-led activity in confronting poverty in the UK. 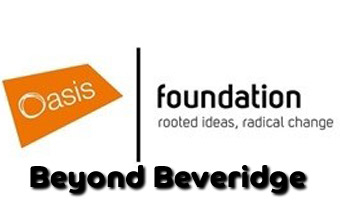 'Beyond Beveridge' will be a report that will chart and evaluate the size and significance of the church's contribution to the social fabric in England. The report will examine the role that churches are already playing in meeting the needs of the most disaffected and disadvantaged and how they might grasp oncoming opportunities to extend their ministry and mission. The research will also examine the impact on churches when they become more socially active. 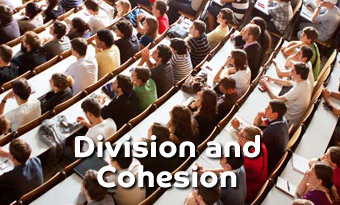 Theos, in partnership with the Centre for Trust, Peace and Social Relations at Coventry University, are proposing a project that will conduct and disseminate new research and analysis about the place of faith and belief on university campuses. It will propose a positive vision of the ways in which religious belief and commitment should be understood and fostered on campus and, by implication, in the public square into which students pass. This is a topic of significant importance. The place of religion and belief on campus is becoming increasingly contested, with debates over the limits of free speech, religious provision, proselytism and religious freedom all prompting media attention over the past few months. However, despite these issues there has been little quality research into the place of religion in universities and how faith groups ought to relate to and live alongside student unions and university administrations. We are proposing to remedy that situation. A national quantitative overview will attempt to be the first to actually map each of the faith and belief societies currently operating in British universities. It will then seek to answer the fundamental question of how faith and belief societies help foster more socially cohesive and peaceful campuses. 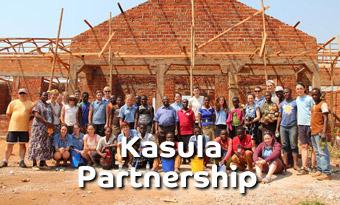 The aim of this project is for students, who are selected to take part on merit alone, to visit rural Tanzania to take part in a cultural exchange. Students will visit both schools and churches and work extensively with a group of Tanzanian students with the aim of improving leadership skills in all students involved. Both staff and students will be leading church services and school assemblies, celebrating the Christian faith as a global community. Numerous donations of clothing and sports equipment will also be made and this, coupled with the leadership skills, will enable he project to run after our return, thus leaving a lasting legacy. What happens when someone with a criminal record turns up at a job club? 'Apply with Conviction' is an interactive workshop for volunteer Job Club leaders and coaches to equip them to support people with convictions into work. It covers the basics of the Rehabilitation of Offenders Act, the revised Rehabilitation periods and best practise in criminal record disclosure to employers. We will provide training to 10 local Job Clubs in the West Midlands, to equip volunteers with the knowledge and skills to better support ex-offenders on their release. We aim to suport 100 ex-offenders in the West Midlands over a one-year period, with 30 of these going to enrol in training or education or enter sustainable employment. A New Picture Book: "Going To Church"
"Going to Church" is the latest series of wordless books by Books Beyond Words, helping people with learning disabilities to understand their world. The new book will enable access to places of worship, and the wider communities offered by churches. 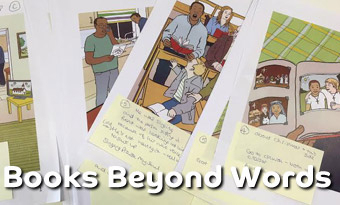 Beyond Words books are co-created by people who have learning disabilities, with about 100 people involved in assessing and trialling pictures, to ensure the story can be easily understood. The advisory group met at the end of November 2016 to discuss final chmages to the colour proofs; text for use by supporters is now being added, alongside development of a training package to ensure the most effective us of the book by professionals, families and volunteers. The book will be printed and lauched in spring 2017. Octave - Open for Discussion is a travelling art exhibition designed to stimulate conversations. It is hoped to help members of congregations to talk with each other more deeply and then to talk with members of their communities more deeply. Churches may use the exhibition in a variety of ways, including visits to it by local arts groups, artists, schools, colleges and more. The exhibition can stimulate visits by groups in wider communities as a way to encourage dialogue on difficult personal subjects. 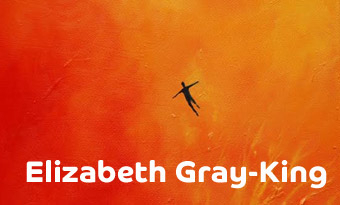 The individual works, called Leap, Hear. Watch, Chill, Wait, Be, Fly and Call, are paintings which touch points of common human feeling. The exhibition is physically small enough to be uised in a variety of places and arrives with discussion materials. 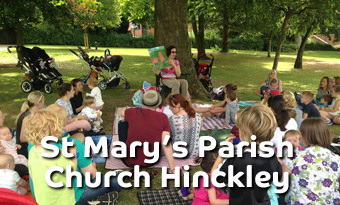 St Mary's Parish Church Community Garden Project seeks to transform the churchyard into a intentional place of rest and welcome, discovery and conversation, that is physically accessible to all. We seek to continue to tell the story of one of the oldest buildings in Hinckley by remembering and respecting our history and where we have 'come from', whilst also unfolding the nexr part of our story and journey. Children and young people have many questions about life, including the non-material world and the actively seek answers, meaning and identity. In order to assist their journey of discovery during 2017 we will run 'Prayer Spaces Weeks' in schools in Kent, in a safe, creative interactive and all-inclusive environment. It will allow students to discover their own meaning and draw their own conclusions, and also encourage respect for each other. 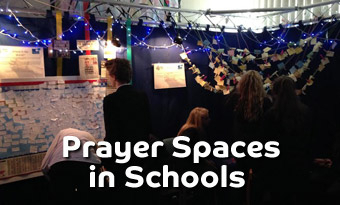 Teachers can bring their students for a subject lesson in the prayer space and students will be invited to visit it during their breaks at lunchtime and after school. It will empower them to contribute in positive ways in school, family life and in the community. Jericho's innovative 'Ignition Project' is a training and support programme which equips volunteers from churches and other faith/voluntary organisations to deliver practical job search support and guidance for disadvantaged unemployed young people in their immediate local communities. Ignition provides disadvantaged job seekers with the knowledge, skills, practical support, encouragement and spiritual support to help them live better lives and search for work effectively through work preparation training courses and/or job clubs. The unique and innovative aspect of Ignition is that the support is delivered right in the heart of the community by passionate and willing volunteers who live, work and worship alongside those they are seeking to help.